Spring is finally here! Let’s celebrate with this FANTASTIC list of spring books for little learners! Read these books to your little learners so they can begin to grow a love for not only the spring season but for gardening and the great outdoors. From weather, gardens, plants, and even bugs, this book list is full of learning opportunities that are bound to bring joy into your classroom… especially if you’ve been suffering from the winter blues! The weather during springtime can be very unpredictable. From the wind to rain, and in some places, it still might bring one last snow storm. These books are a great way to learn about all the different types of weather. One of my favorite things about spring…. besides the flowers, is the windy days it brings. Perfect for flying a kite! We can’t forget about all of that spring rain! In this spring book, a little girl plays outside in the rain, while counting to 10. When it is time to go back inside, she counts backward from 10-1. A great way to throw in a little number practice. This is one of my all-time favorite book written by Eric Carle. It is all about the power of your imagination and the story of a little cloud. Spring brings the plants and gardens to life! Dive into the growth around you with the help of these books. Just as every part of the plant has a purpose, so do the leaves. This book covers the basics about leaves and how they grow. It includes realistic pictures that help kids identify plants around them. An outstanding book that outlines the story of a mom and child who plant a garden of flowers. As they bloom, the colors are so vibrant that the flowers create a rainbow! Little Critter, along with his family, plants a garden. After they water, weed, and tend to their garden, they are able to harvest the veggies and make one yummy meal to share together. Teaching little learners how plants grow, gives us an opportunity to read this fantastic book. This book is another part of the Plant Parts series. The garden is alive! From the moment the seed is dropped into the soil to the bugs that call it home, the garden is bustling with activity. Here is a book I know a lot of little learners will be able to relate. It is a story about Lola. With the help of the library, her mom, and a little patience, she grows sunflowers in her garden. I love the Nat Geo books because they are full of incredible pictures on a variety of topics. This one, in particular, is one of my favorites. There are several photographs throughout the life of a plant, and it all starts with a seed. One classic story that has to be included in your spring book selections. As a side activity to reading this book, you could have your little learners plant a pea or peanut plant. These seeds tend to grow really fast! Take a close look at all of the different seeds! When they are not busy growing, they are quite interesting little (and surprisingly big!) things. Learn about the blossoms of flowers! Colorful, interesting, and it screams spring! Don’t miss out on the chance to bring these amazing animals into the picture. Explore the other types of animals your little learners see by asking them to look around when they adventure outside. Five little ducks went out to play. Over the hill and far away….. another great classic! This book comes with a cd so your little learners can sing along with the book! When spring arrives, so do the birds. In this book, birds from around the world make their appearance. Great way to start exploring the wonderful world of birds! Get out and stretch those legs and breath the fresh spring air by going on a nature hunt! You can even let your little learners pick out what they will hunt for…. 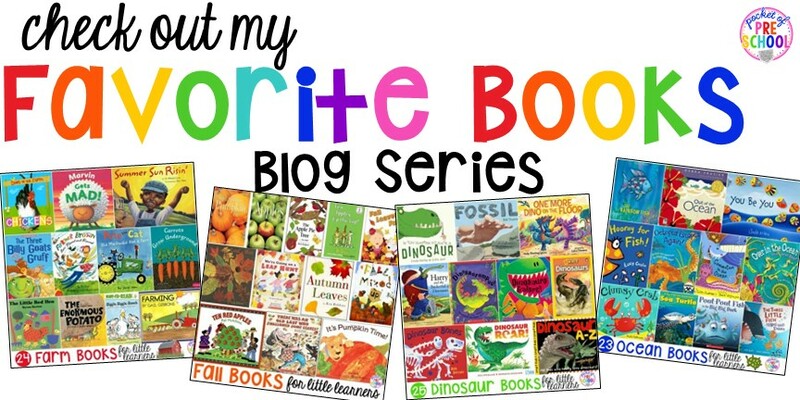 give them some ideas with the help of these books. We can’t forget about the cute, fluffy bunnies! You would of never guessed the kind of adventures bunnies take without the story from this book. Caring for the birds around us is one fun and exciting topic to learn about. Teach your little learners how they can make a house for the birds that live outside of their window. Yes…. the creepy crawlies make their appearance on this list of spring books. I’m sure you’ve noticed that since winter, the bugs are starting to appear again. We just had a little trail of ants arrive in our garage the other day. Time to take advantage and teach our kiddos all about those buggers! In honor of the ants that are starting to appear, here is one adorable book that involves singing and counting. I think now would be the perfect time to get an ant farm for your classroom! Your little learners will be singing along in no time when you start reading this book! A favorite in my classroom. One of the most intriguing things to watch is when a caterpillar turns into a butterfly. Nat Geo has even more fantastic photographs in this book. You could even get a caterpillar kit for the classroom and watch them change before your eyes! Let’s practice counting with this spring book. Count the ladybugs from one to ten! If this book captures your little learner’s attention, pick up a bag of live ladybugs to release in your classroom garden. Another favorite of Eric Carl’s collection. This one always reminds me of all the hungry little learners around me that always seem to eat! Did you know that worms are wonderful? They play a huge role in making healthy soil for our gardens and flowers to grow nice and strong. Don’t forget to check out the worm farms for an up-close look at these guys as they wiggle through the soil. Springtime brings so many learning opportunities to the table. I know you and your little learners will get some ideas from this list of spring books. What are your favorite spring activities are inspired by reading in your classroom?